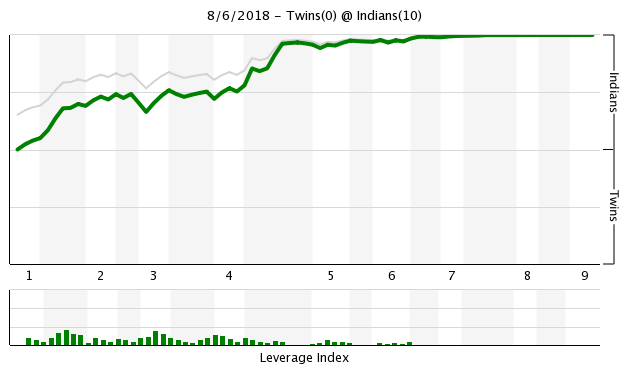 CLE 10, MIN 0: Who Needs Chris Gimenez? Welp, everybody’s been saying Mitch Garver isn’t playing enough, be careful what you wish for. Garver made his first appearance on the mound tonight in the ninth inning of a 10-0 game. And you know what? He was the only Twins pitcher who didn’t surrender a run. Chris Gimenez, eat your heart out. Garver: "...one out in the seventh, asked me if I'd ever pitched..."
Seriously, is this any way to run a ball team? It's not consequential in a 10-0 game, but do they not have a database where everyone is asked this when they are added to the 25-man? And then in every game there is not a depth chart of who is physically available to pitch that day, that goes all the way down the line to emergency pitcher use? "Would you mind pitching next?" Reasonable question. Or, "we're in a tough spot, I need you to pitch," if that's more your style. But, "have you ever pitched?" Not a fan of how this played out. Whether that's on the FO or the field staff, I want my dugout prepared for every eventuality. This shows lack of preparation; what else is falling between the cracks? Seriously, is this any way to run a ball team? It's not consequential in a 10-0 game, but do they not have a database where everyone is asked this when they are added to the 25-man? I hear Jack Goin may have taken the database with him. And due to the record payroll, the Pohlads suspended the raffle that was to accompany the emergency pitcher questionnaire, so perhaps employee participation was lower. First prize was supposed to be a mountain bike this year! Why didn't Drake pitch?My brother who is also a Big Twins fan said to me last week that Molitor doesn't Manage to win the game, while the cleveland manager was.He's right, look at the line-up and the number of time weak relievers have come into games that are still on the line.NO winning team would manage like this!Thus, we are not a winning team! FWIW, Garver got squeezed out of a K against Lindor. His numbers should actually be better! Al I know is that August/Sep this year could have still been fun and has been made totally irrelevant by the FO. Grapefruit games in March are more interesting than these last two months will be. On to football and who cares whether the Twins beat the Indians in the rest of this series with the lineups they will send out there. Also, what is one good reason why Buxton should not be called up immediately and told not to crash into walls or take chances on the bases. Just work on his hitting against actual Major League pitching. If he is too fragile to risk that he should be released. 1.) He is on the disabled list with a bad wrist. It would be detrimental to his healing process to play baseball games. 2.) Byron Buxton’s speed is his greatest attribute. Asking him not to take chances on the bases is like asking J.D. Martinez not to swing for the fences. Why would you do it? 3.) Major league games attract tons of media attention and fans. If a guy is working on something and struggling, you don’t want him to have all of that media attention. 4.) Minor league games don’t matter as much – it’s okay to tell a guy not to swing at anything except curve balls or to take a few pitches to work on hitting with two strikes. It’s hard to do that in the MLB when games matter and you can’t experiment as much. 5.) Minor league teams have hitting instructors attached who can work one-on-one with a specific hitter. Those are not as prevalent at the MLB level, where guys are supposed to know what they’re doing already. I could come up with more if you wanted. 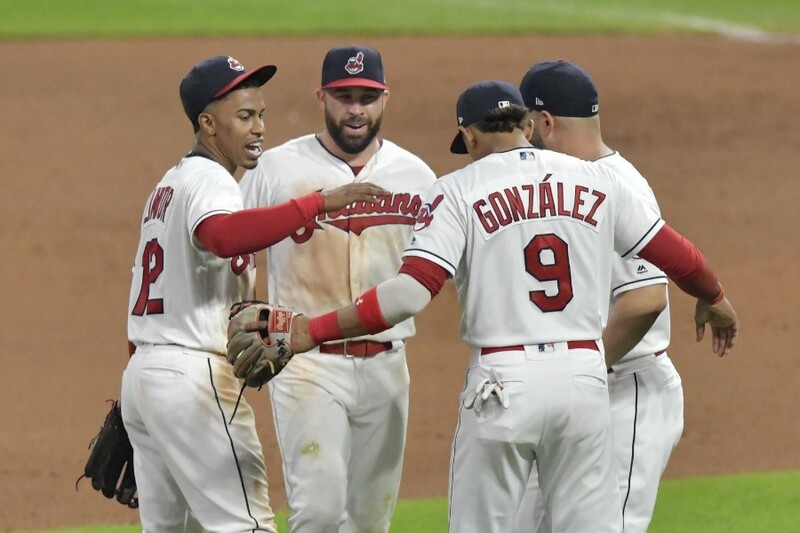 → Article: CLE 10, MIN 0: Who Needs Chris Gimenez?